On Thursday, September 27, 2018, at 6:30 p.m., join the Webb-Deane-Stevens Museum to see why scholars believe recent discoveries on the grounds of the museum may be among the most important archaeological finds in Connecticut. The free event in the Webb Barn will be preceded by a wine reception, by donation, at 6 p.m.
State Historian Walter W. Woodward will discuss the events surrounding the devastating surprise attack in late April 1637 on the Puritan community at Wethersfield. It was the precipitating event that resulted in the Pequot War, in which the Connecticut plantations, Massachusetts colony and their Indian allies defeated the strongest tribal nation in southern New England. The War had an impact on the eventual shift in the balance of power from indigenous people to the more recently arrived colonists, but it was not without years of unsettling worry, fear and stress in Connecticut about the dangers posed by the Indian population still living among them. Woodward’s thought-provoking and image-rich presentation will examine the role that rumors played in the early wars between English settlers and the native people whose land they occupied. Woodward will argue that rumors, rather than actual conflict, resulted in a great expenditure of time, resources, and psychic energy. Recent archaeological work at the Webb-Deane-Stevens Museum, carried out by the Public Archaeology Survey Team, Inc. (PAST) in 2016 and 2017, resulted in several exciting discoveries related to the pre-and post-Pequot War conflict. The work was required by the Connecticut State Historic Preservation Office to ensure that significant archaeological resources would not be impacted by the construction of a new Education and Visitor Center for the Museum, which is scheduled for 2018-19. The most significant find by the archaeologists is the discovery of an intact palisaded or fortified wall associated with a large assemblage of artifacts that date to the 1630s, the time of Wethersfield’s initial settlement. 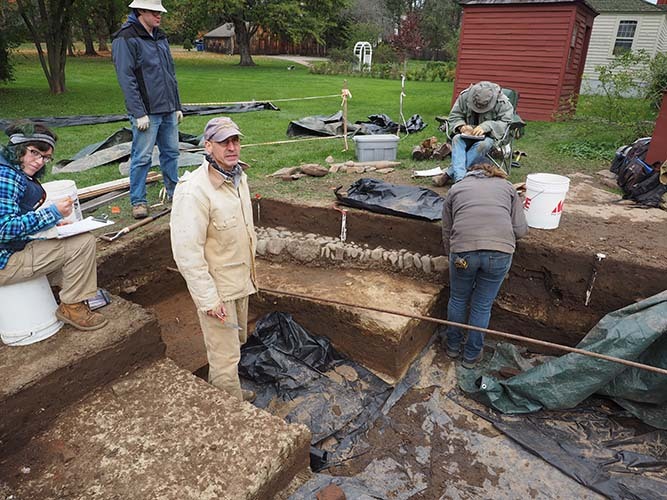 Woodward asserts that these discoveries at WDS provide invaluable information that helps historians and archaeologists to understand better this early period in Connecticut history, about which very little is known. The palisade indicates that Wethersfield’s settlers felt the need to protect themselves with a wall around their homes while, at the same time, trading with Native peoples as evidenced by the discovery of wampum and other artifacts that provide evidence of trade with Native peoples. Whether they know the story of Pequot War in Wethersfield well or barely at all, Woodward’s presentation will enlighten attendees on the importance of the first of New England’s Indian Wars and how central Wethersfield was to that conflict. 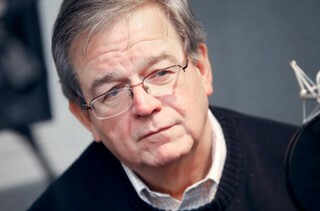 Woodward is the state historian and an associate professor of history at the University of Connecticut’s Hartford campus. He is the author, among other works, of the award-winning “Prospero’s America: John Winthrop, Jr., Alchemy, and the Creation of New England Culture, 1606-1676,” and co-author of “Teaching History with Museums: Strategies for K-12 Social Studies.” He writes the column “From the State Historian” in Connecticut Explored: The Magazine of Connecticut History, and in collaboration with that publication, produces “Grating the Nutmeg,” the podcast of Connecticut history. With Connecticut Humanities, the Office of the State Historian produces “Today in Connecticut History,” a daily report broadcast on Connecticut Public Radio. He also produced podcasts for the upcoming American Experience documentary “The Circus,” which will be broadcast on WNPR and CPTV websites.